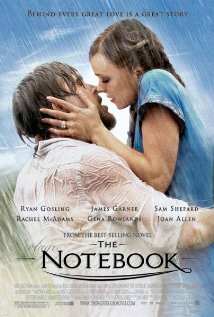 Noah Calhoun regales nursing home resident Allie Nelson with an epic story of thwarted love from his notebook. He transports Allie back to the emotional upheaval of World War II where two North Carolina teens from opposite sides of the social divide fall hopelessly in love, only to be torn asunder by the bitter conflict raging in Europe. The Notebook is not currently showing anywhere.